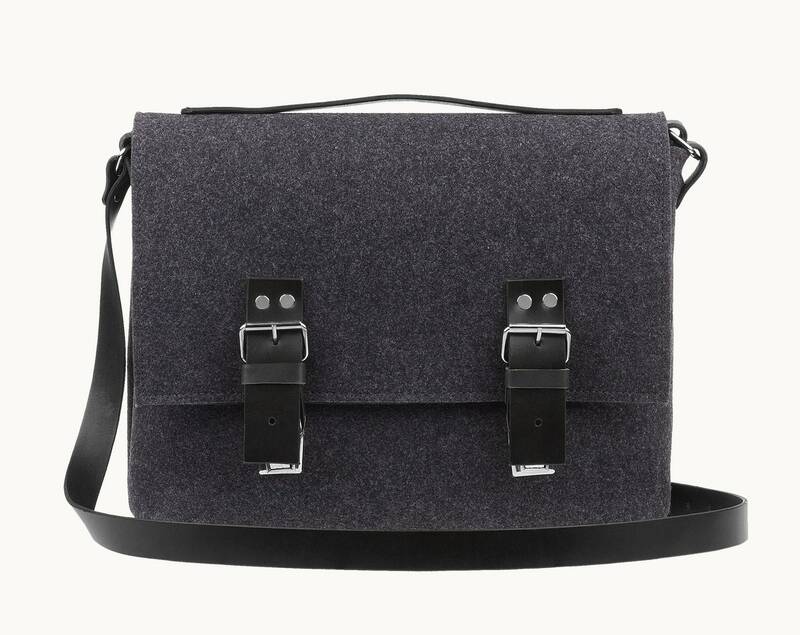 Felt messenger bag great for 12" 13", 15" or 17" Apple laptops. 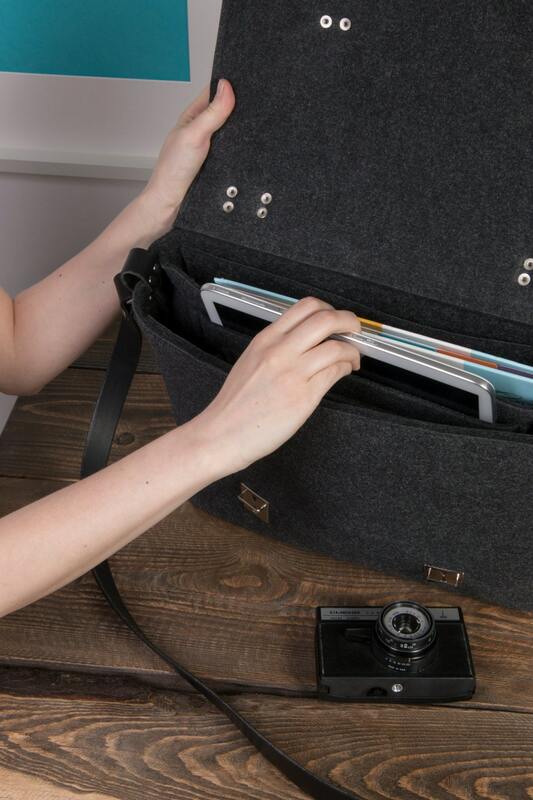 Casual computer bag with a lot of space and comfortable pockets inside. 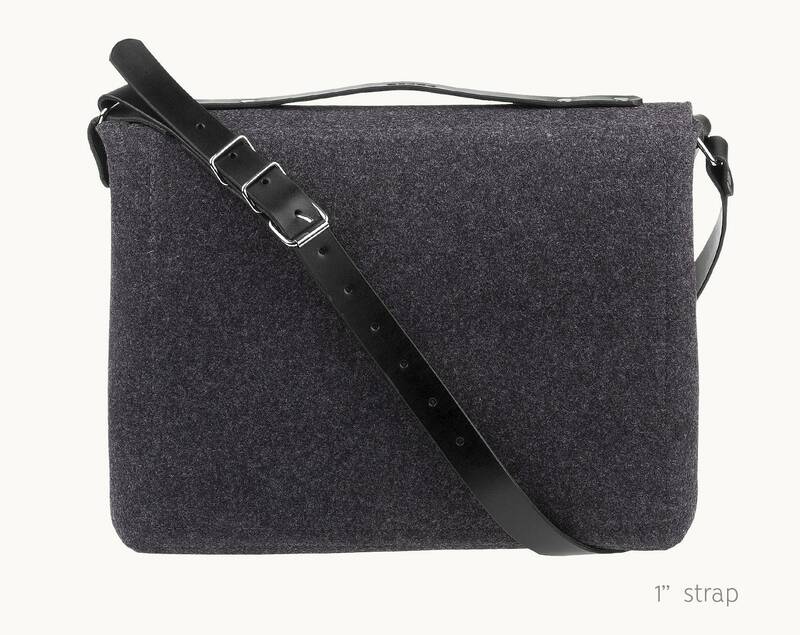 Long shoulder strap is full adjustable. Quick shipping to the United States and it is gorgeous! Great quality. I know the husband is going to love his Christmas gift. The bag is beautiful, sturdy, and so well made! Thank you so much for making it to my custom specifications and shipping it out so fast. I had the bag in hand a week from time of order! I've been using this bag for a couple weeks now and it's just as fantastic as I expected it to be. Magda was incredibly helpful and provided the perfect personalisations just as I asked. I've gotten a lot of compliments on it, which isn't surprising because it's just that stylish. My only concerns when I first got it was that moving my stuff from my previous backpack I would have to limit myself in terms of how much I can carry. 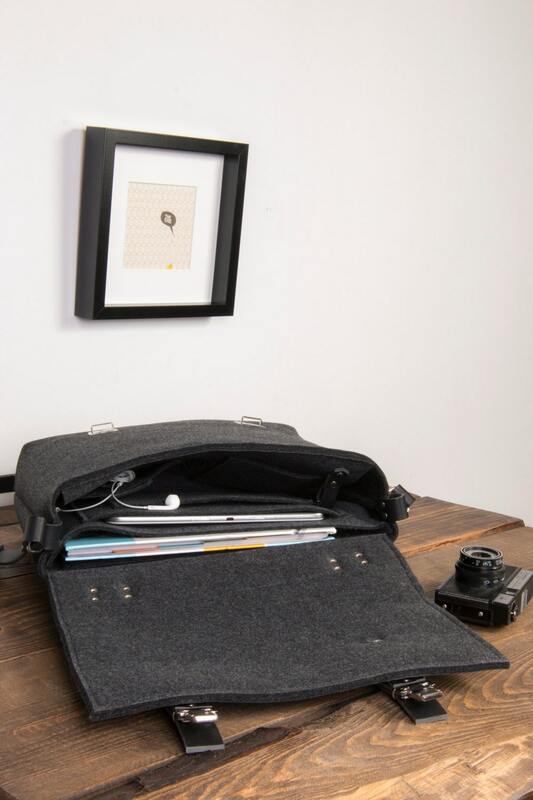 While this is still the case and you won't be carrying a ton of books with this laptop bag, there are so many well placed pockets inside that it's surprising how space efficient it actually is. 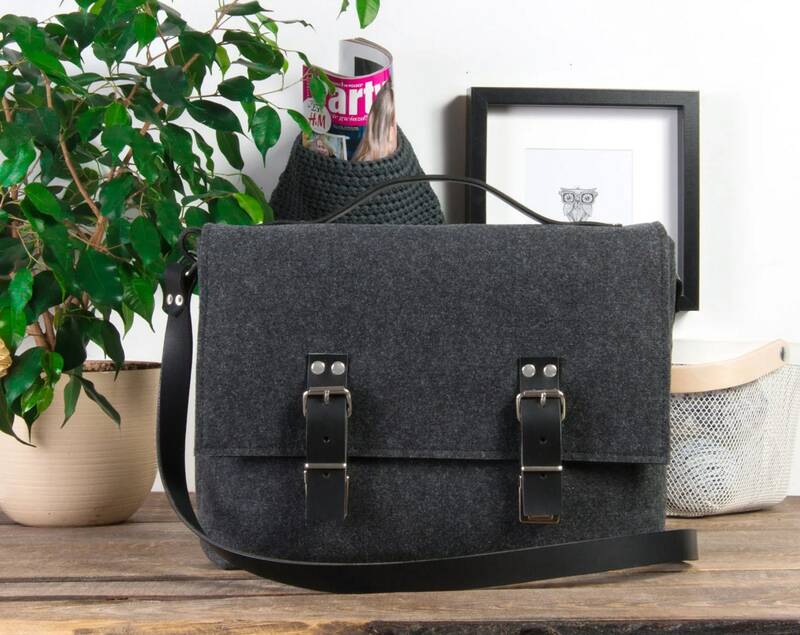 Overall I'm very satisfied and often find myself marvelling out how gorgeous this bag is to look at and to use.